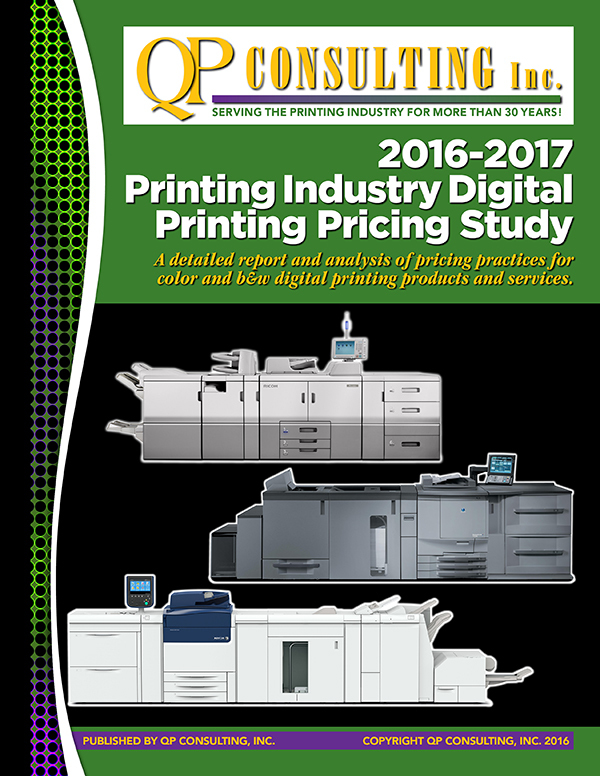 Four Free Sample Pages – Would you like a very brief glimpse of what’s contained in the latest 2016-17 Digital Printing Pricing Study? All you have to do is click on the artwork below or click here to download a FREE 4-page PDF demonstrating the tip of the iceberg as to what is in store in the complete study. This 114-page study is one of the most comprehensive pricing studies we’ve ever published. It’s also one of our most popular. Dedicated strictly to pricing of digital products and services, this new study is now available for immediate shipment (hard copies and PDFs). Retail price of this study is $229. PDF orders are shipped same day as received. Hard copies are mailed within 24 hours. Click on the Bookstore tab above or Click Here to place your order.